The Legislature is back in session from the summer recess and we are back in the full swing of things. I had a very successful month in Trenton, passing one bill fully and unanimously at an Assembly voting session, forwarding two additional bills through committee, and introducing an impactful piece of legislation to increase the age of a college dependent from 22 years to 25 years old. 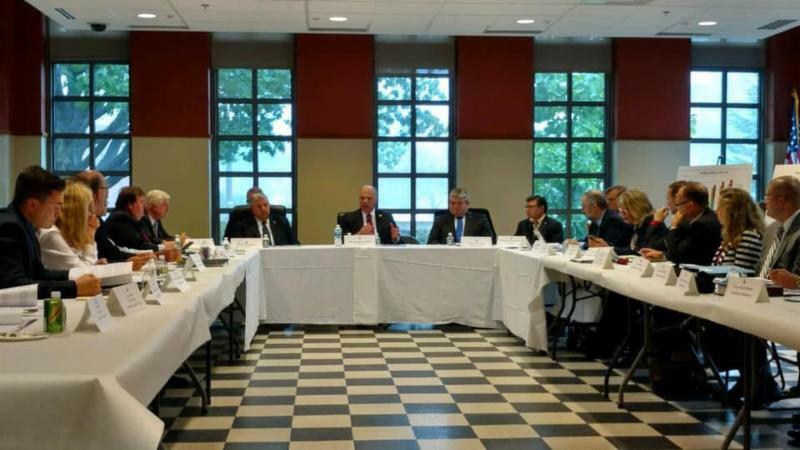 I also participated in meetings discussing several issues and potential solutions. One such meeting was the first official meeting of the State's Economic and Fiscal Policy Workgroup to start addressing our states grim financial future. Another important meeting was with Northwest Bergen EMS to discuss volunteer recruitment and changes to the certification process. Other news from the District is included below. I've also included a brief section detailing October's observance as National Breast Cancer Awareness Month, and Knock Out Opioid Abuse Day! Finally, our Spotlight feature this month highlights Ramapo High School, located in Franklin Lakes, which ranked fifth in the 2018 Top New Jersey Public High Schools chart compiled by New Jersey Monthly. 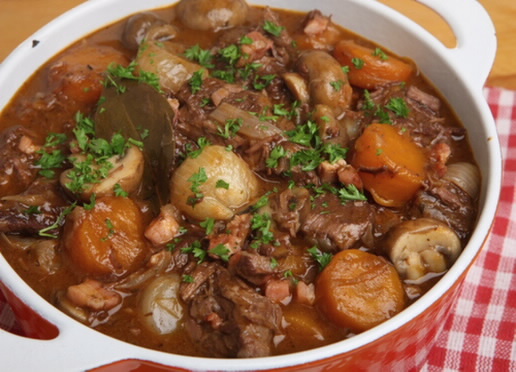 Brown meat in a Dutch oven, and then cover with 3 cups of beef broth. Bring to a boil. Lower heat and simmer uncovered for about 1 hour or until almost tender, adding small amounts of water as necessary. Skim any fat that may accumulate on the top. Add peppers, bay leaves, and tomatoes. Stir and cook uncovered for another 15 minutes. ﻿Stir in tomato paste, onions, potatoes, carrots, peas, and garlic. Reduce heat to low, cover and cook for another 40 minutes to an hour, or until beef is very tender - almost falling apart. Season with salt, pepper, sweet paprika and hot paprika. Stir in half of the parsley. Sprinkle each serving with additional parsley on top, and enjoy! 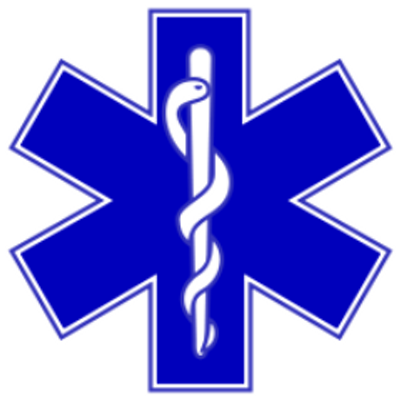 I was invited to join the Northwest Bergen Captains Association, representing the EMS agencies serving the area. 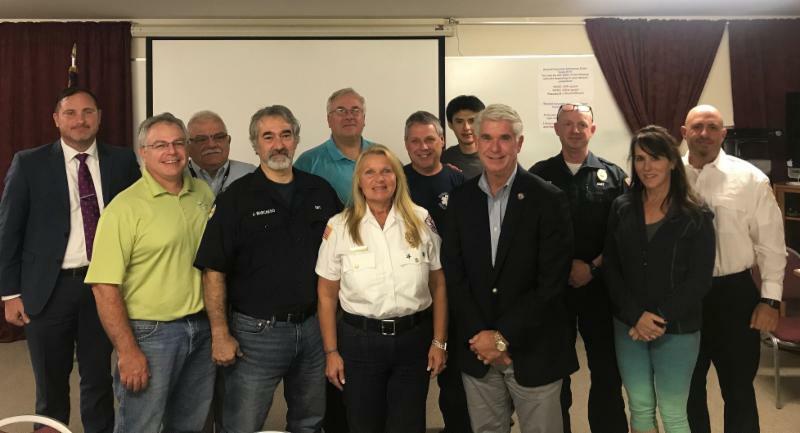 The meeting was to discuss recent changes made to EMT certification testing in New Jersey. My goal was to get a better understanding of what their needs are - in terms of volunteer recruitment and the transition to a new certification process. It is our duty to address these issues and foster the spirit of volunteerism. In doing so we ensure our EMTs can continue giving back to their communities. 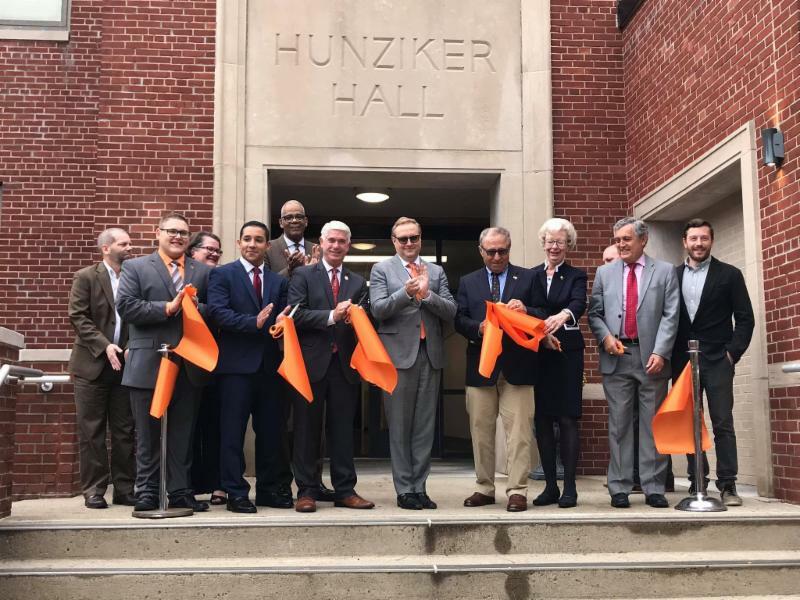 I participated in the ribbon cutting ceremony for William Paterson University’s newly renovated Hunziker Hall. The renovation marked the second phase of a two-building project that included Preakness Hall, previously known as Hunziker Wing, which opened for classes in September 2017. The project was part of the University’s continuing commitment to modernizing and revitalizing the academic core of the main campus with enhanced facilities in support of students and faculty. ﻿ October is Breast Cancer Awareness Month, which is an annual campaign to increase awareness of the disease. Breast cancer is the second most common kind of cancer in women. About 1 in 8 women born today in the United States will get breast cancer at some point. The good news is that most women can survive breast cancer if it’s found and treated early. A mammogram – the screening test for breast cancer – can help find breast cancer early when it’s easier to treat. National Breast Cancer Awareness Month is a chance to raise awareness about the importance of detecting breast cancer early. Spread the word about mammograms, and encourage communities, organizations, families, and individuals to get involved. Show support for breast cancer survivors, patients and their family and friends. A pink ribbon brings awareness to breast cancer. Volunteers throughout the state will unite to combat the deadly opioid crisis on Saturday, Oct. 6, by delivering vital information in their communities on the dangers of prescription opioids and their link to heroin use on the third annual Knock Out Opioid Abuse Day. More than 5,000 volunteers participated in last year's Knock Out Opioid Abuse Day, distributing crucial information on safe prescribing practices to healthcare providers, as well door hangers to residents in neighborhoods throughout New Jersey. Volunteers also organized events, such as songwriting contests, candlelight vigils and charity walks to spread messages of prevention and recovery. This month our Spotlight feature highlights Ramapo High School. Ramapo High School has been ranked the fifth best high school in New Jersey by New Jersey Monthly magazine. New Jersey Monthly publishes the Top Public High Schools chart every two years. 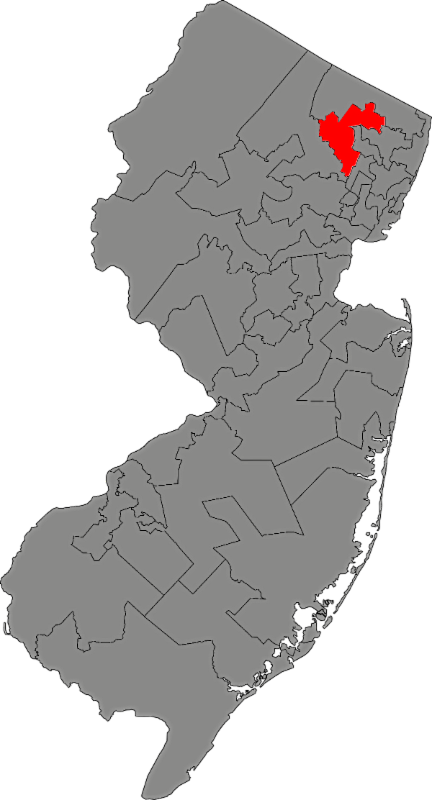 The chart is based on numerous factors, including student/teacher ratio; student participation in AP or International Baccalaureate classes; AP and SAT test results; and graduation rate s. New Jersey Monthly bases its Top Public High Schools chart solely on data collected by the NJ Department of Education for its annual school performance report cards. Congratulations, Ramapo High and to all the excellent schools in New Jersey!